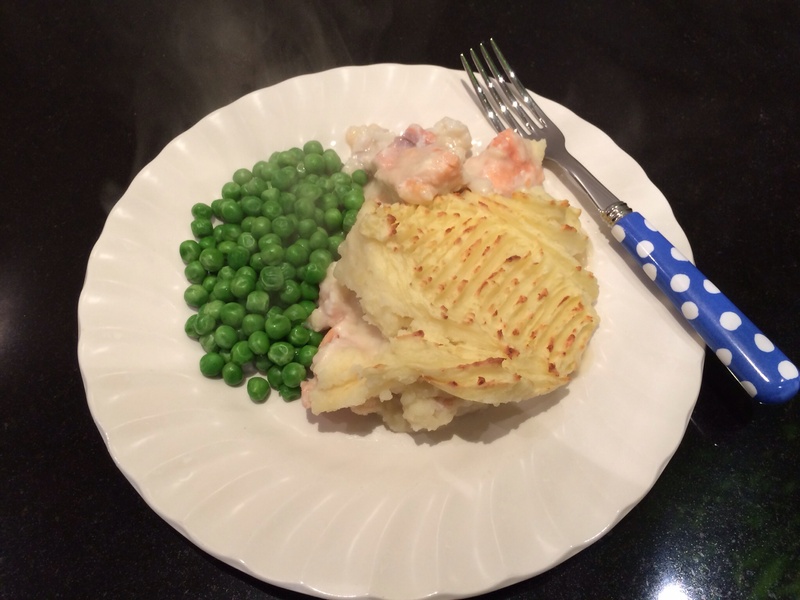 I like a comforting fish pie and this is one! A little mustard in the white sauce and some roasted garlic in the mash. What’s not to like? 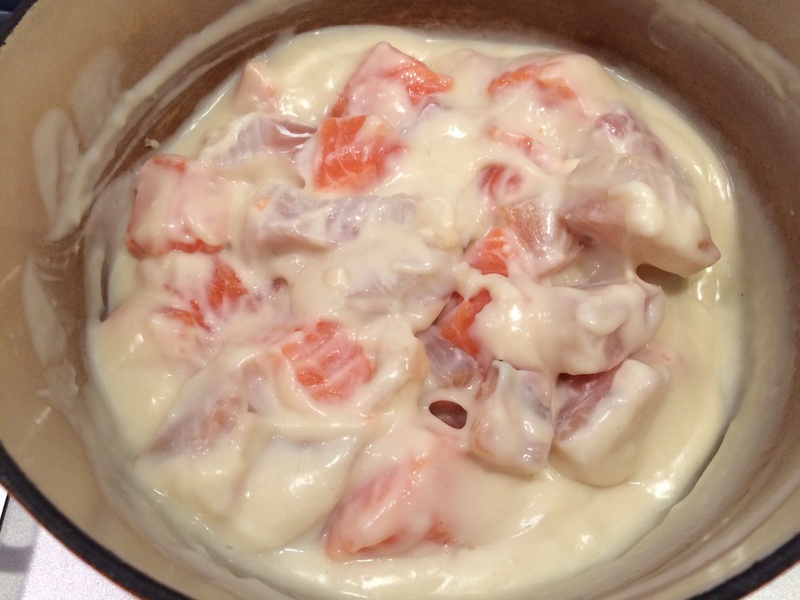 I’m using a mix of cod, salmon and haddock. You’ll need – serves 2 Put the kettle on. Peel the potatoes and cut into small chunks. Place in a pan and pour over the boiling water and boil. Put the oven on 190c. Put 3 garlic cloves on to a baking tray, drizzle with oil and let them roast while the potatoes cook. In a saucepan put half a pint of milk, 2 Tbs of flour, 1 tsp of mustard powder, and a knob (20g) of butter, some salt and pepper. 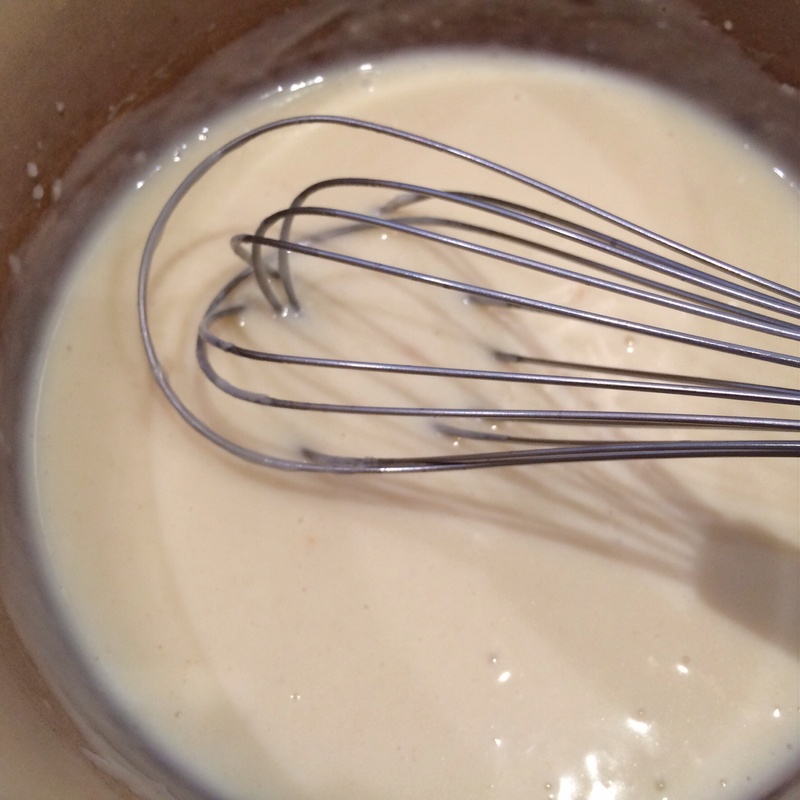 Heat slowly, whisking all the time until you have a nice smooth sauce. 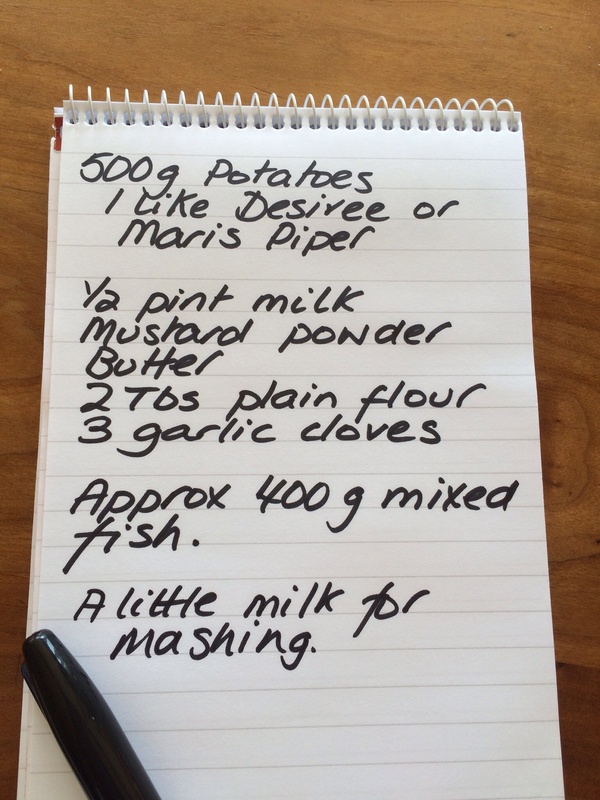 Mash your potatoes with a little milk, butter and salt and pepper and the peeled roasted garlic. Cut the fish into chunks and put into the sauce, gently stir. Spoon the mashed potatoes on top. Make a pretty pattern if you like! Pop into the oven and cook til the top is nice and brown. 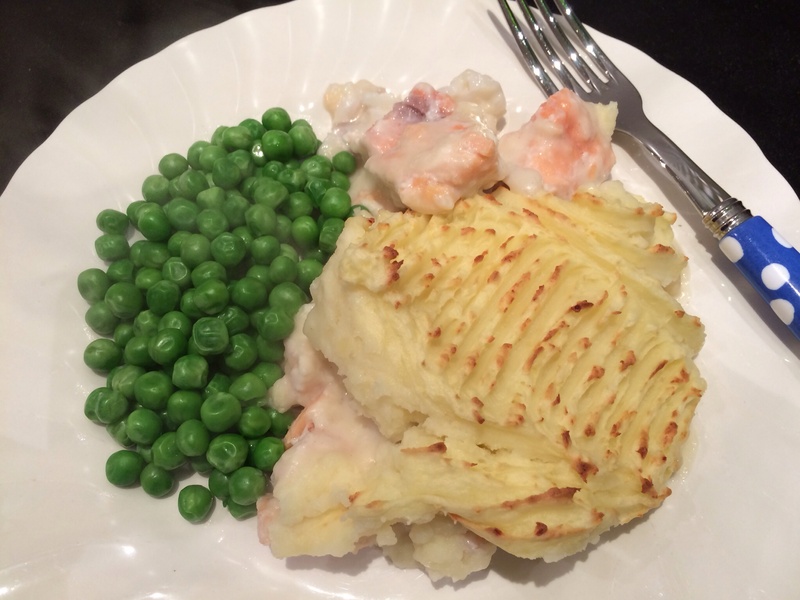 Serve with some peas! If you’ve got an oven proof pan then you can make the sauce in that adding the fish and the mash topping and there will be less washing up! I had a little of the pie left over so the next day made little round fishcakes with the remaining mix, which I covered in breadcrumbs and gently fried, serving with a little spinach and a fried egg on top. It was delicious! ← Rhubarb and basil crumble and cream!